Not to be confused the d’Arenberg’s The Bonsai Vine, though the concept of the small vines is the same. 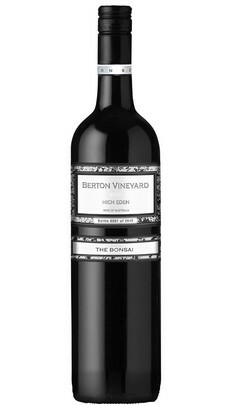 Berton are based in the Riverina, but have access to other regions, including this vineyard in the High Eden, between Eden Valley and the Barossa. A closer inspection of the tech sheet provides insight that this is only 86% High Eden, with 14% coming from Coonawarra. Fermented on French oak chips and matured in old and new French oak barrels for 20 months. An imposing, impenetrable deep garnet colour. Spicy oak aromas with blackberry jam, plum sauce and deep English rose. Cool spearmint and savoury olive counterpoints. Assaulting sheets of gummy tannins fight with smooth/full blackberry fruit for attention with piquant pepper and rich plum. Mint tempers the natural warmth. Will need another year to settle into itself. One for the lover of bolder styles.